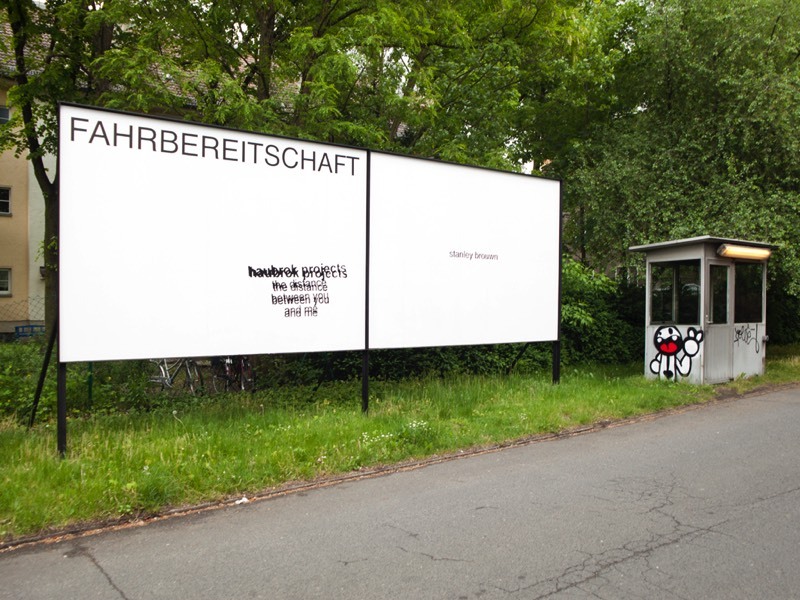 BerlinCollectors.com is the joint web presence of Berlin's private contemporary art collections, providing an overview and insight into the city's various initiatives, that are open to the public. The second exhibition of works from the Boros Collection presents works from the early 90s along with recent acquisitions. 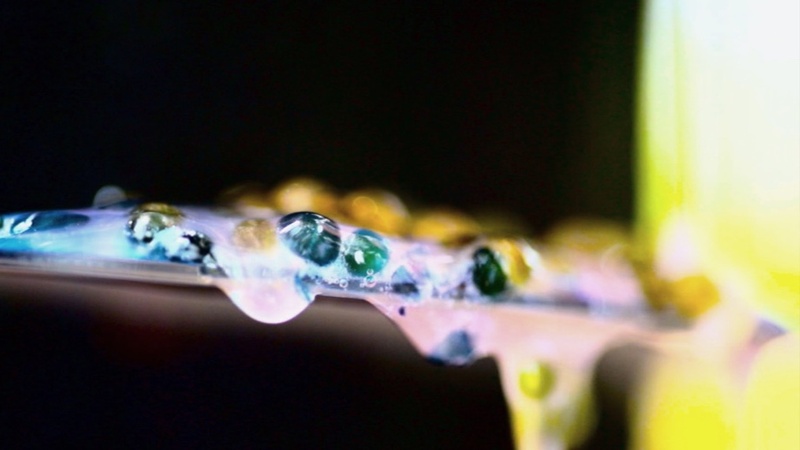 All media, such as sculpture, installation, painting, drawing, video and photography are represented in the show. Many of the installations work with sound so that visitors are confronted with various, overlapping sounds on each of the bunker’s five floors. The artworks on display have been installed in the rooms by the artists themselves and work with the space. 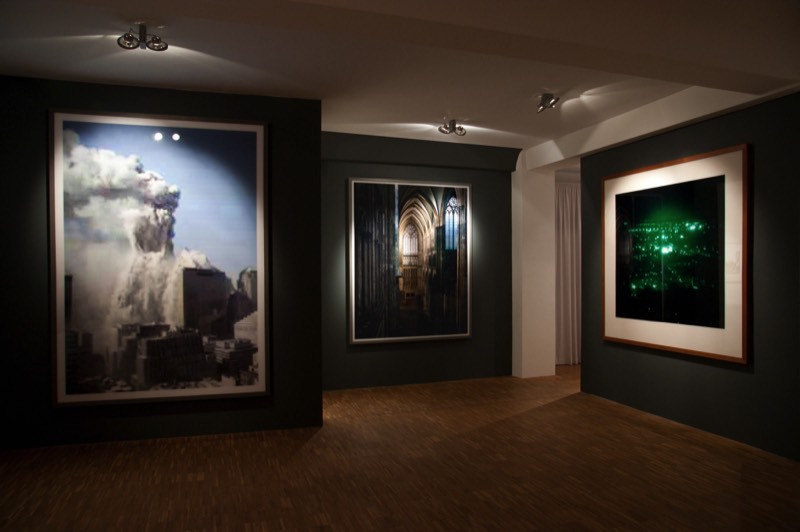 Installation view with works by Thomas Ruff, © NOSHE. 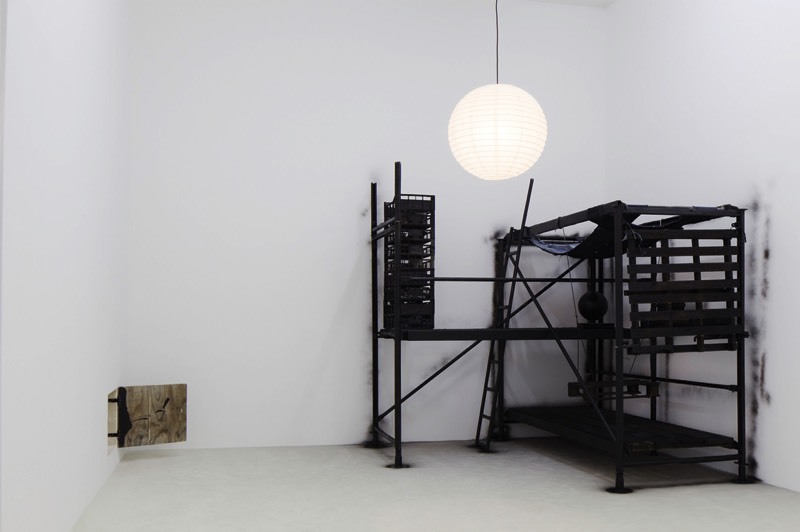 Klara Lidén, Teenage Room, 2009, © NOSHE. 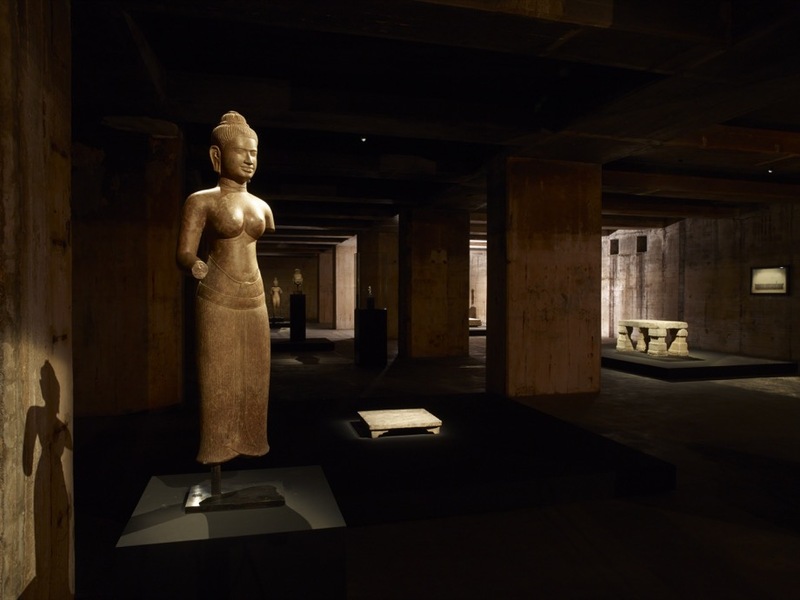 Free Guided Tours During Opening Hours. 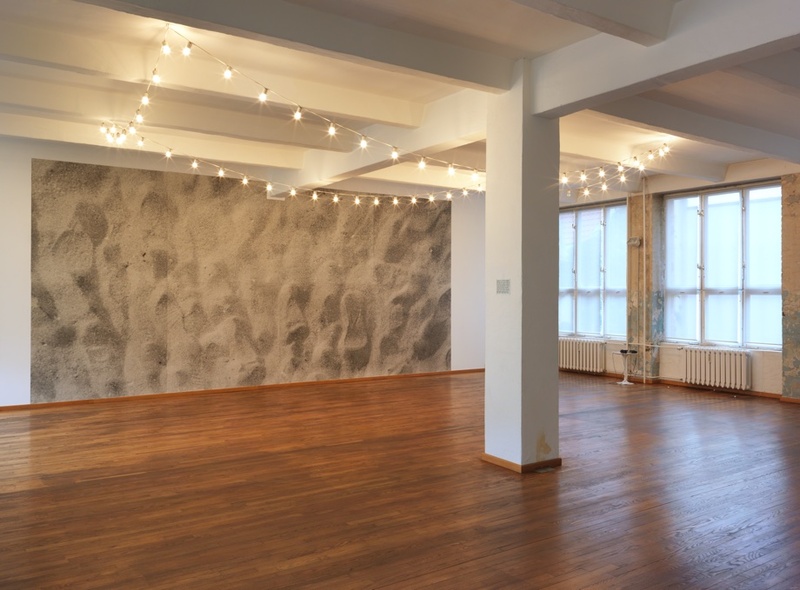 Salon Berlin is Museum Frieder Burda’s new exhibition and project space at the Auguststraße 11- 13 in Berlin. 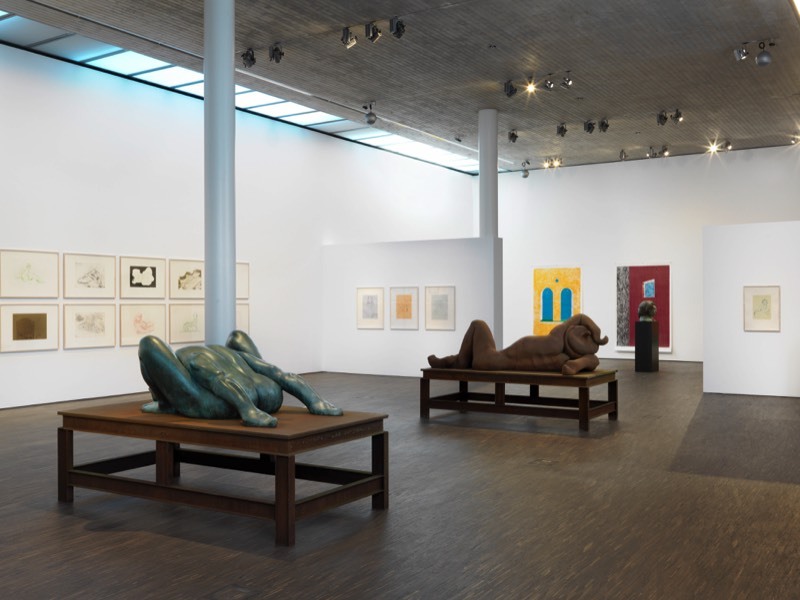 Closely connected with the Museum in Baden-Baden, Salon Berlin, under the curatorial direction of Patricia Kamp, presents the diverse aspects of the museum programme and the Frieder Burda Collection. 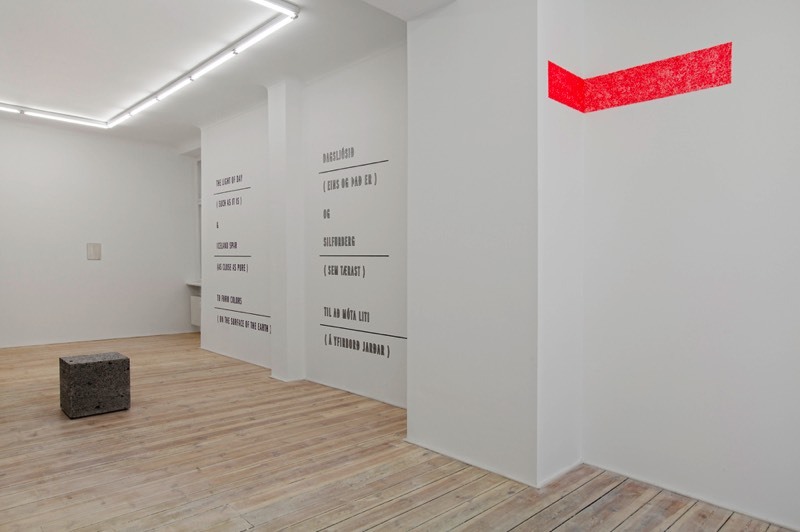 The exhibition space sees itself as a forum for international contemporary art, often referring to the Berlin art scene, both a showroom and a space for experimentation for Museum Frieder Burda. The beginnings of Elke and Arno Morenz Collection (EAM Collection) were laid down in the 1960s. 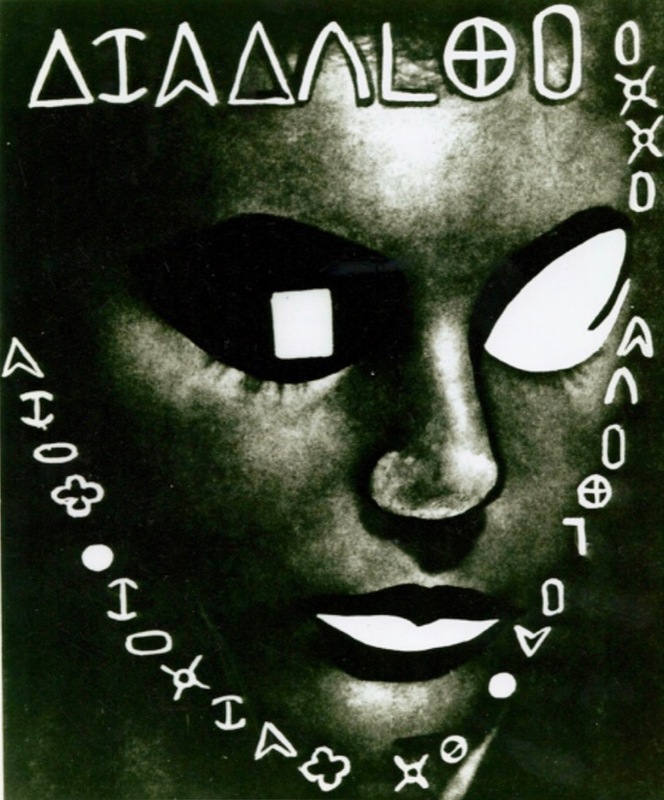 With its focus on Lettrism, it is the only private collection worldwide presenting works by this movement of the French avant-garde with works by Isou, Lemaître, Wolman, Dufrêne, Hains, and many others. 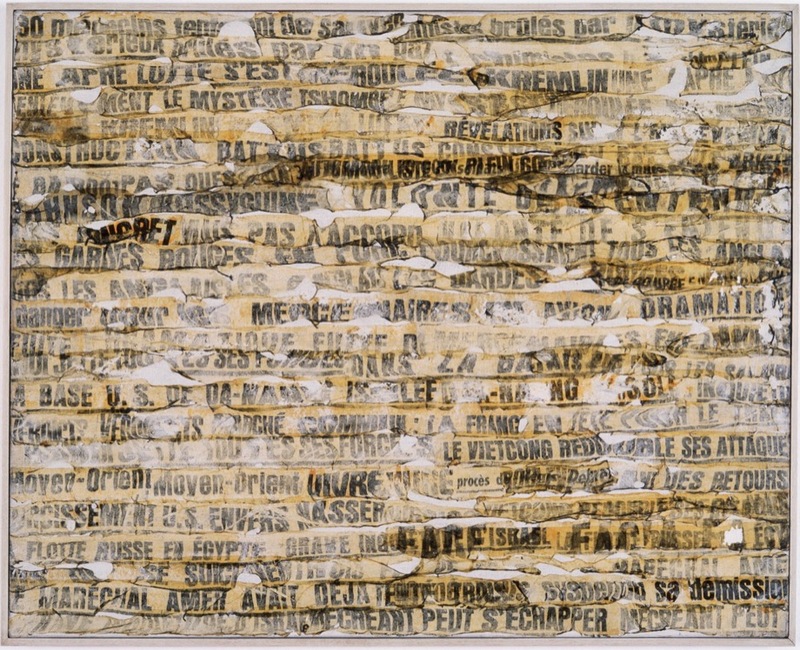 The collection encompasses numerous paintings and collages as well as sculpture, portfolios, concrete music, experimental film and many personal documents illustrating the friendship of the Morenz with the main characters of the movement. The collection is situated in the private apartment of Arno Morenz (Elke Morenz +2009). 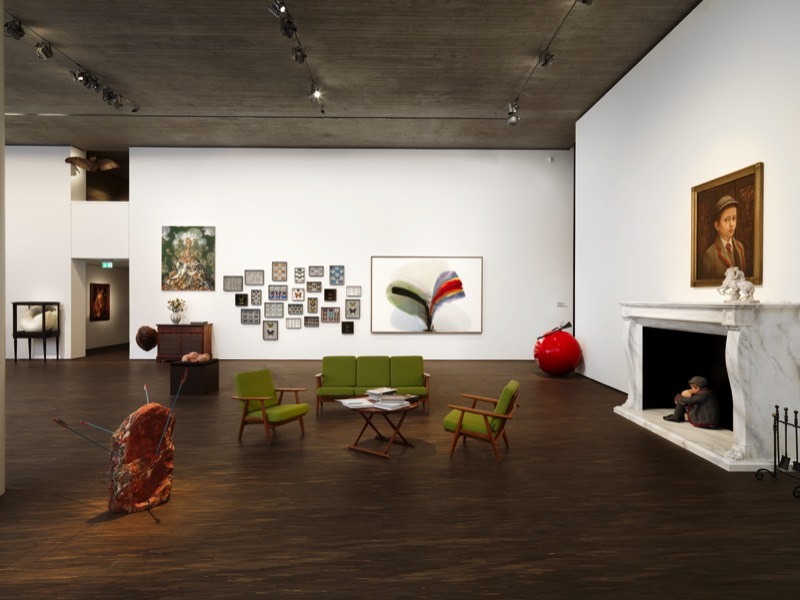 A visit to Feuerle Collection can be arranged by appointement only, If you are interested in booking a visit, please use the booking system on the website. 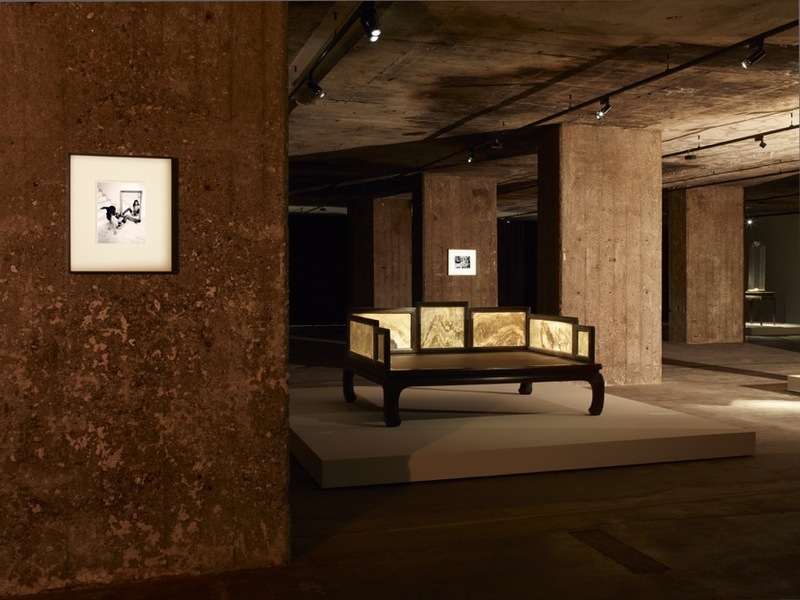 The Feuerle Collection is a new museum dedicated to Désiré Feuerle’s collection which juxtaposes international contemporary artists with Imperial Chinese furniture and Southeast Asian art. 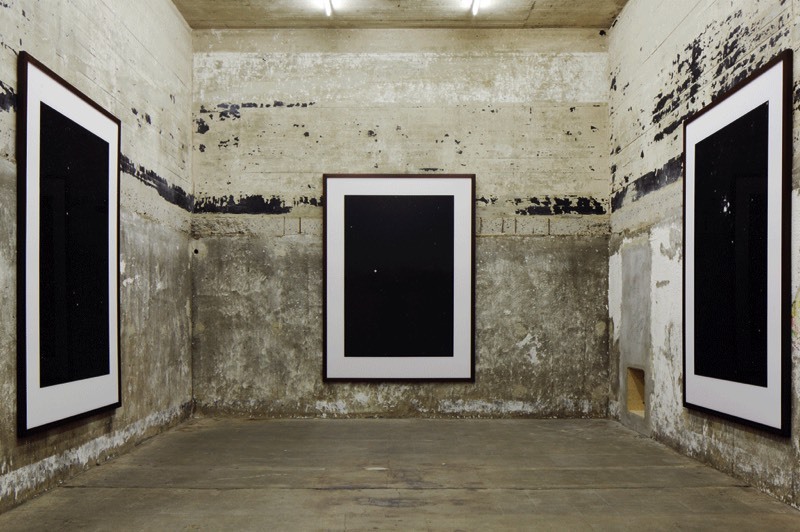 Located in a former Second World War telecommunications bunker that has been renovated by the British architect John Pawson, the museum encourages a conversation between different periods and cultures offering an alternative perception of the antique and creates a new perspective on the artworks, leading viewers through a synesthetic experience. 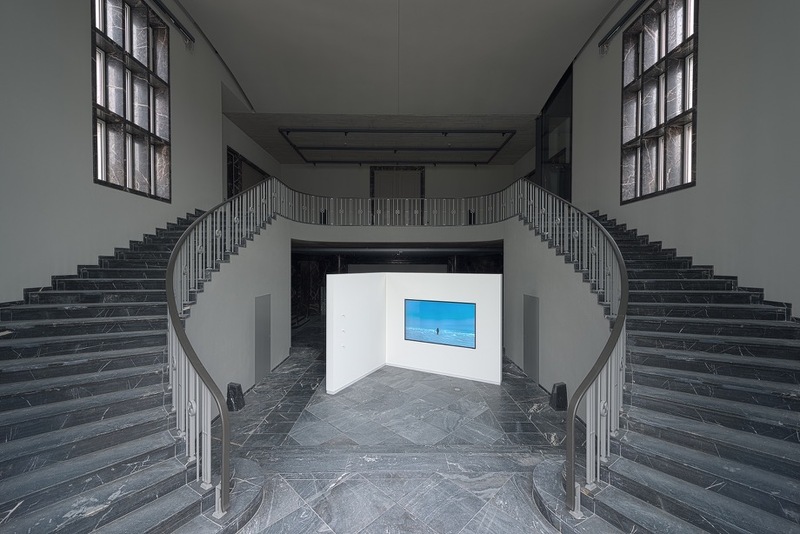 Fluentum – initiated by software entrepreneur Markus Hannebauer – is a platform for the production, collection, and presentation of contemporary art with a strong focus on time-based media such as film and video. 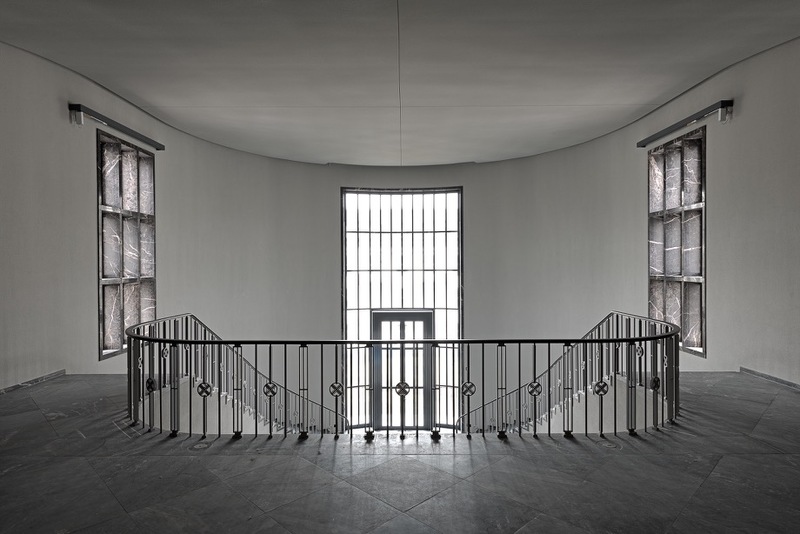 Fluentum is located in Berlin-Dahlem in the former main building of a military facility built in 1936-38 for the German Luftwaffe, which served as the headquarters of the U.S. Army from 1945 to 1994. The Berlin Airlift was organized here. 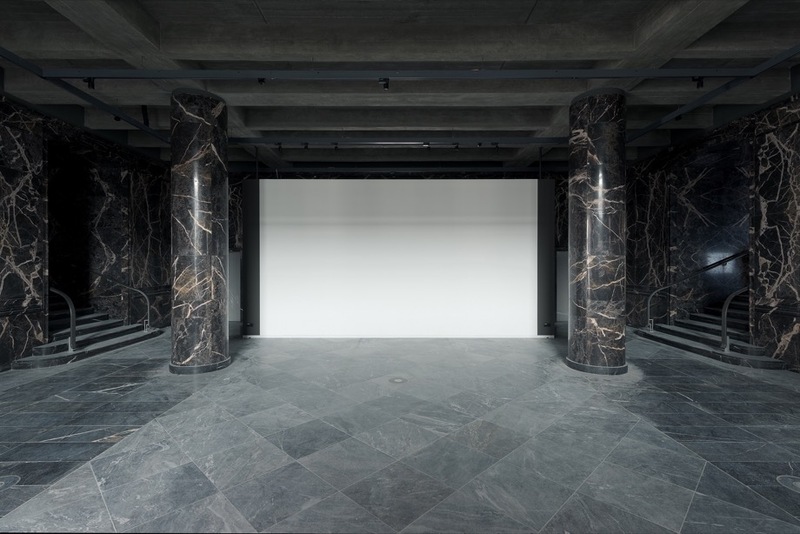 Over the past three years, the historic building on Clayallee has been extensively redesigned by the Berlin architects Sauerbruch Hutton for use as an exhibition and private space. At regular intervals, Fluentum organizes changing exhibitions in this dedicated space, showing works not only from its own collection, but also in curated solo shows with selected artists. Public guided tour is given once a month. Timetable and registration: Website and by appointment. Arthur de Ganay already started collecting photography while studying architecture in Paris during the mid-1990s. 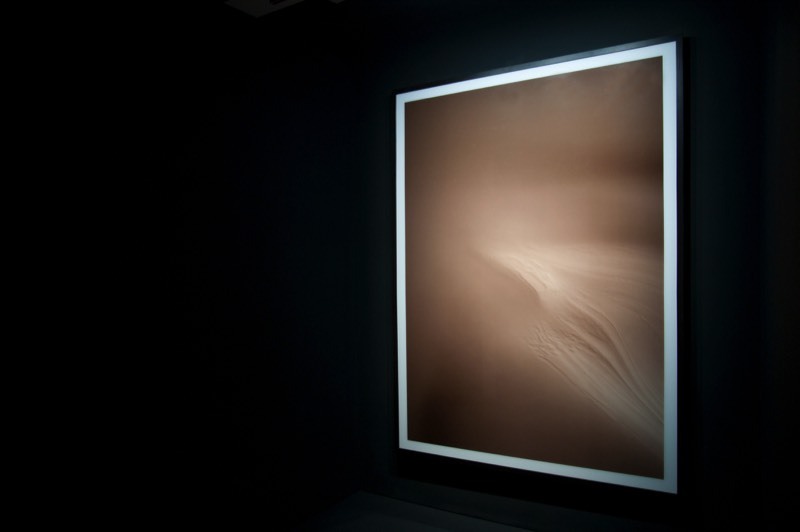 It was his encounter with the photographic oeuvre of Hiroshi Sugimoto in 1995 that brought about a veritable turning-point and persuaded him to start collecting contemporary art. The collection convinces with its strong artists and concentrates on large-format photographic works investigating the thematic of landscape and architecture. 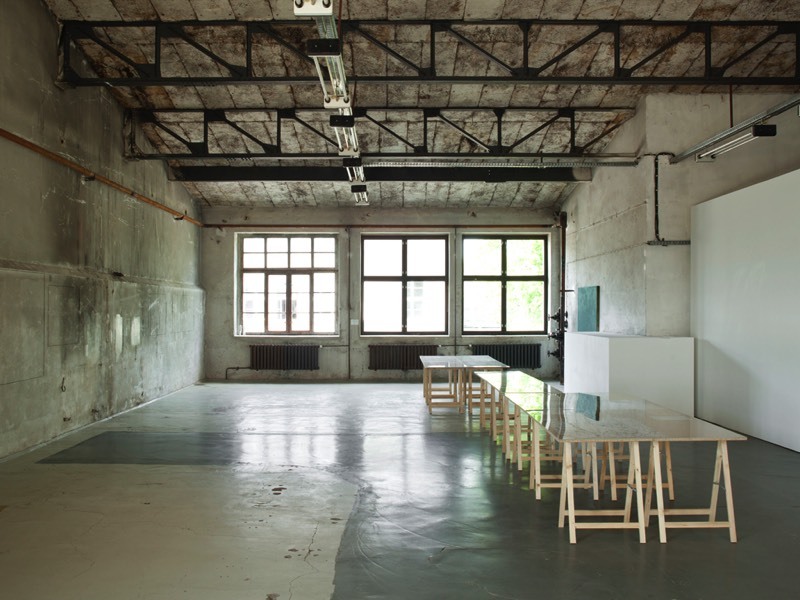 In the Köpenicker Straße, in what used to be a jam factory perched on the banks of the river Spree, he has found the perfect space to show the collection. Saturday at 3 pm (registration incl. phone contact necessary at visit@haubrok.org), and by appointment. A work of Raoul de Keyser, purchased in 1988, was the starting point of the Haubrok Collection. Over the first few years, the collection’s focus was set on paintings. 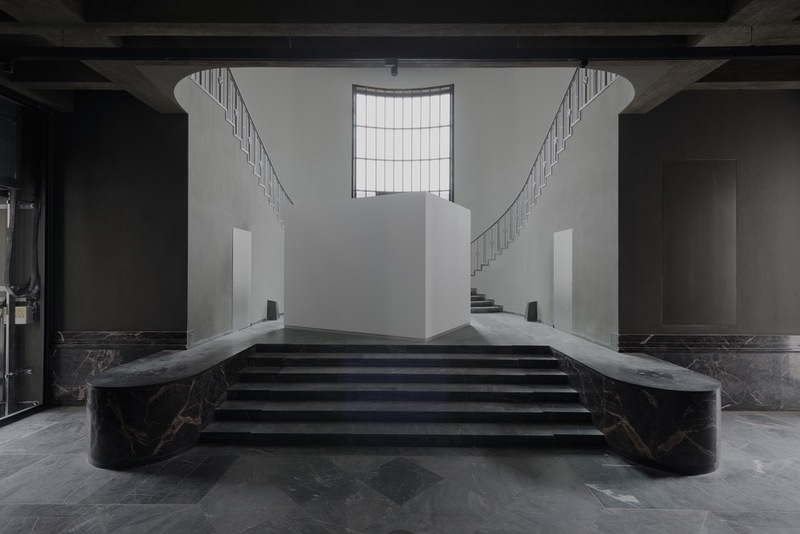 However, at the turn of the new millennium, works by Günter Förg, including photographies and sculptures, gradually put the emphasis on embracing conceptual arts – now focal point of the haubrok collection. Important artists, among others, are Jonathan Monk, Christopher Williams, Carol Bove and Wade Guyton. 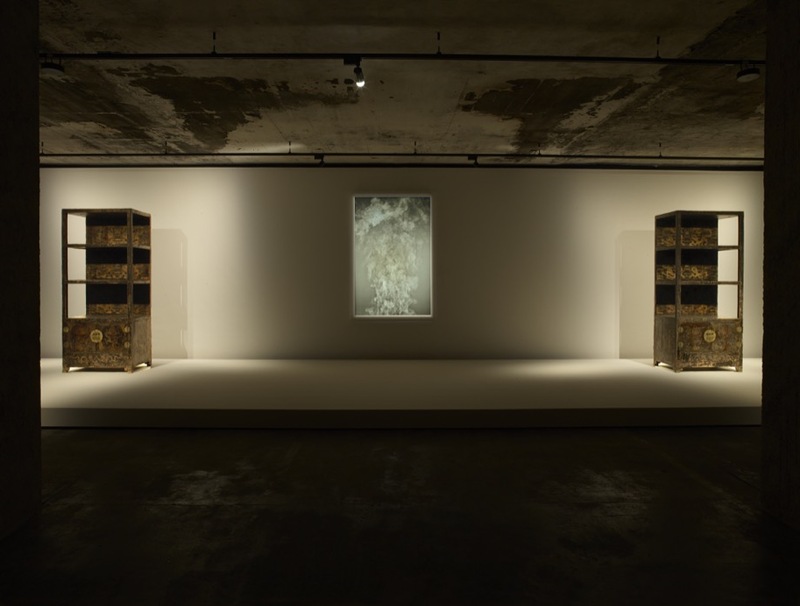 The latest interest of collecting can be seen in conceptual artists of the first generation. Some of the collection’s most important works were transferred to the Haubrok Foundation in 2008. 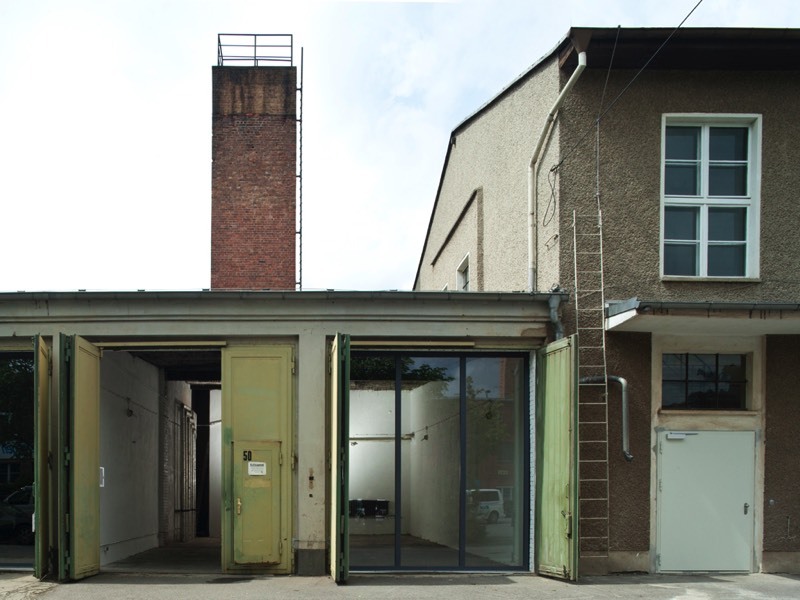 Every Saturday, by appointment and with guided tour, between 11 a.m.-4 p.m.
Rolf and Erika Hoffmann made the former factory complex in Sophienstrasse their home in 1997. Since then it has also housed their contemporary art collection which is open to the public every Saturday, by appointment. Interested parties are invited to join guided tours through the living and working spaces. In this private setting an annually changing selection of art works in all media can be contemplated. Every summer Erika Hoffmann re-arranges the display of the works around a new theme, in order to create new relationships and to discover additional meanings. Thursday - Friday 2pm-7pm, Saturday 11am-4pm and by appointment. 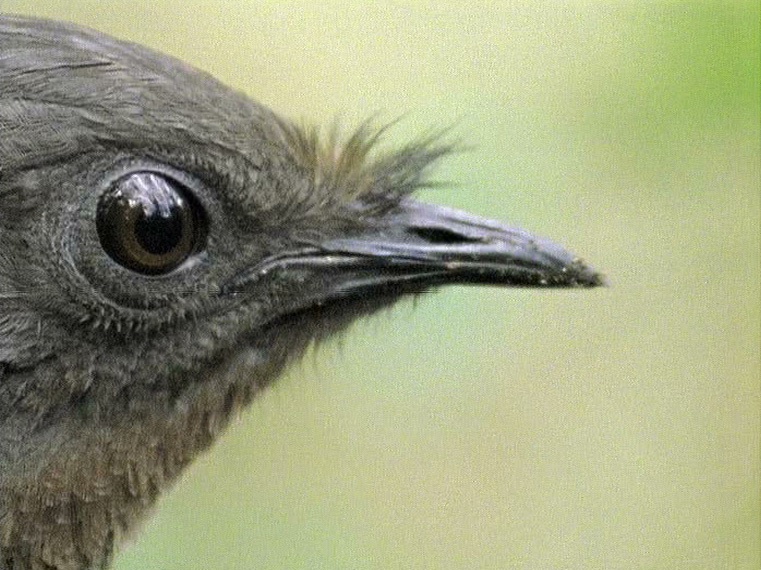 Founded in 2010 at the initiative of Berlin-based collector and gallerist Jochen Kienzle, the Kienzle Art Foundation aims to investigate marginalized and quasi-forgotten artists as well as less well-known positions from the 1960s to the present and to make their impulses clear to emerging artists. The committed collector supports artistic positions that intend to polarize. 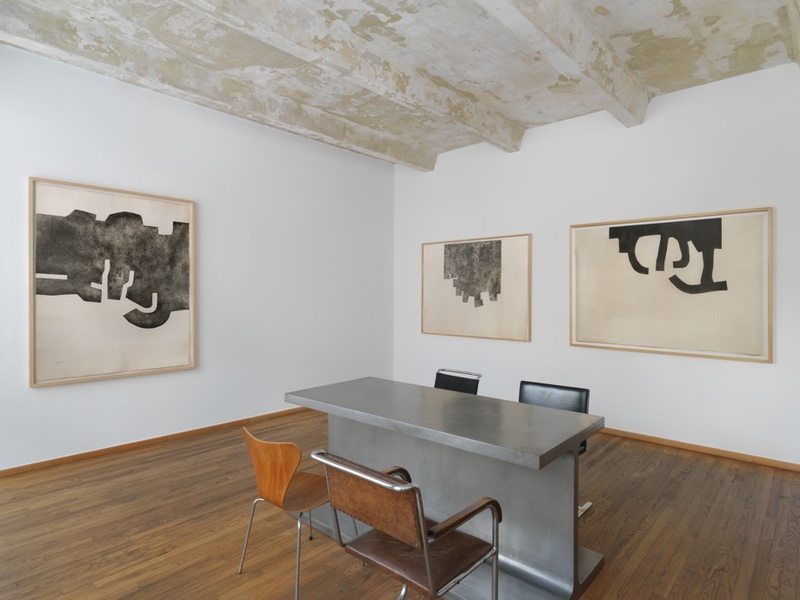 Installation view with works by Klaus Merkel. 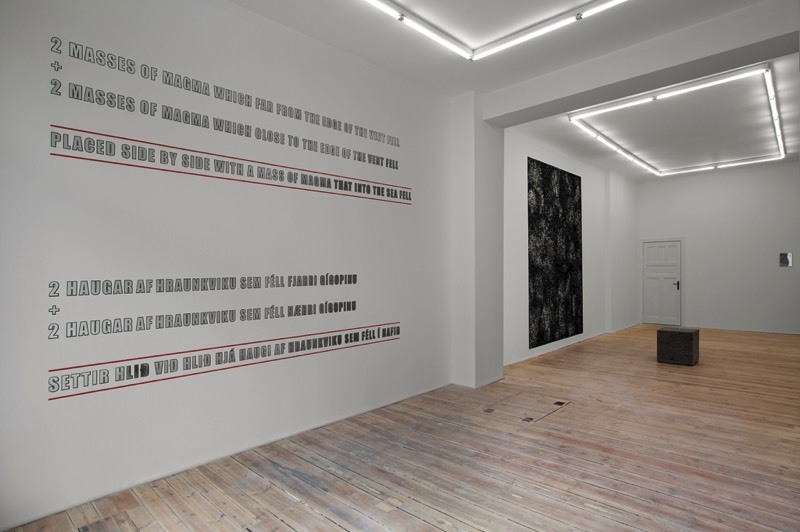 Installation view with works by Marcus Neufanger and Alfred Müller. Installation view with works by Wols, Rodney McMillian and Elmar Zimmermann. Wednesday -Saturday 11am-6pm and by appointment. Sunday 11am-6pm, during Berlin Art Week. 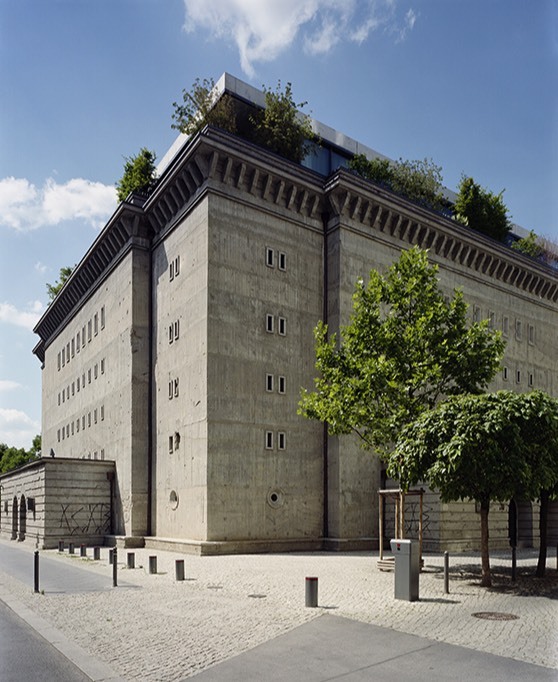 Kunstsaele are the exhibition space of the collections Bergmeier and Oehmen. A diverse programme showcases not only works from the collections, but is also open to relevant related projects and invites artistic encounters. Works from the collections thus find themselves in conversation with contemporary and recent historical positions. The collection encompasses works from the early 16th century all the way to the most recent contemporary art. The collection, which crosses genres and epochs, is shaped by Thomas Olbricht and combine a multiplicity of artistic media. Historical retrospectives of timeless, existential themes are mixed with views of current, contemporary material. The works are designed to transport the visitor into a realm of sheer astonishment and thus elicit new ways of looking at the world. The Olbricht Collection and other international private art collections have found in me Collectors Room a permanent exhibition space. 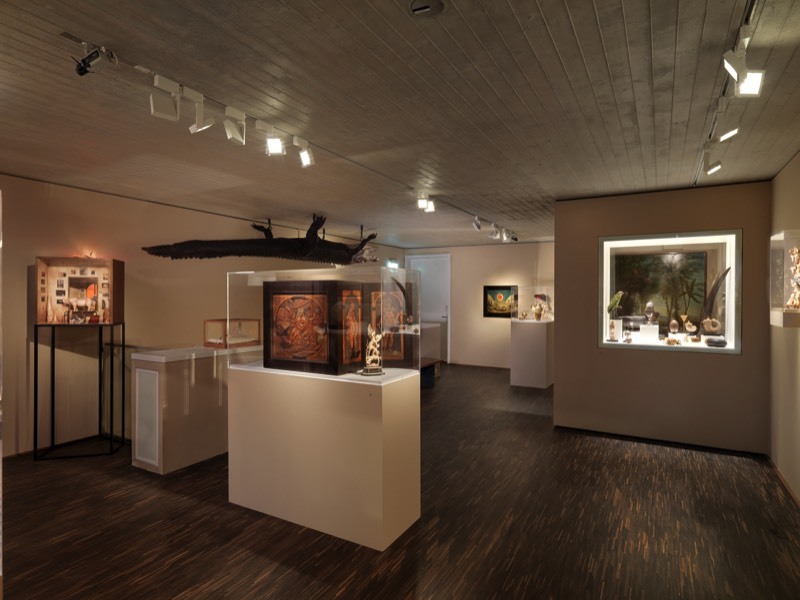 Besides of temporary exhibitions, the Wunderkammer Olbricht is on permanent display. 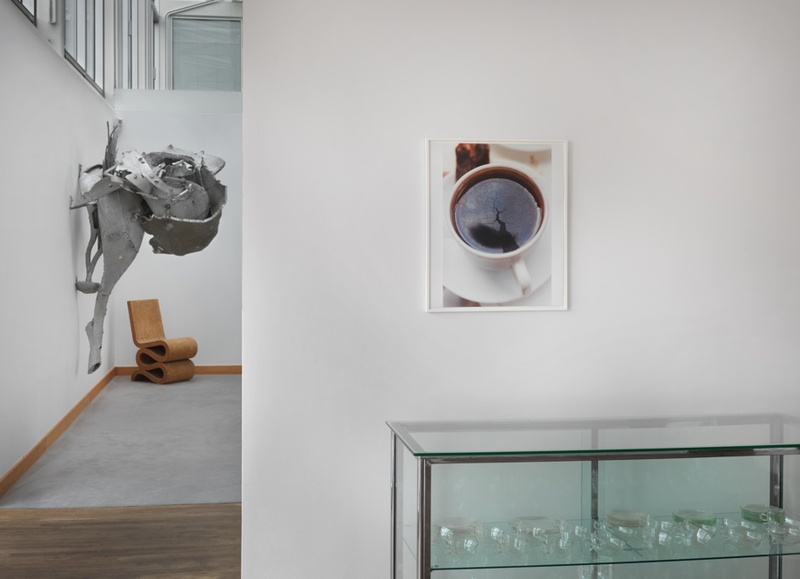 Installation view with works by Thomas Schütte, © me Collectors Room Berlin, Photo: Jana Ebert. 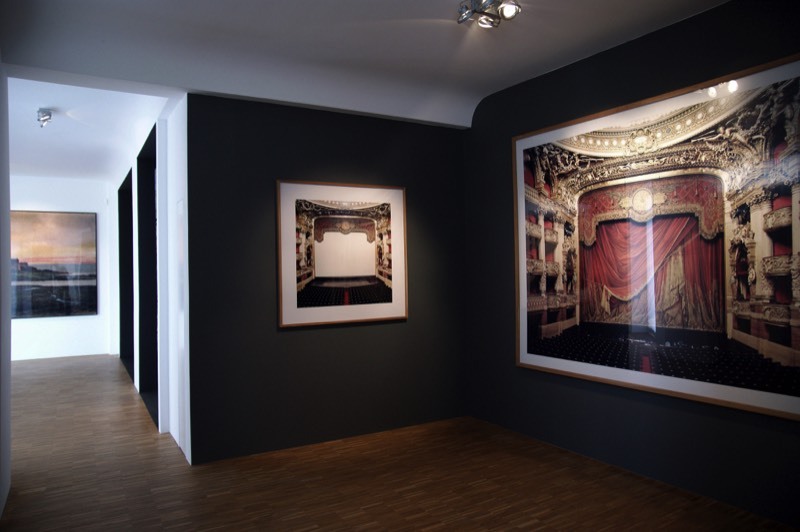 Installation view 2012, © me Collectors Room Berlin, Photo: Bernd Borchardt. 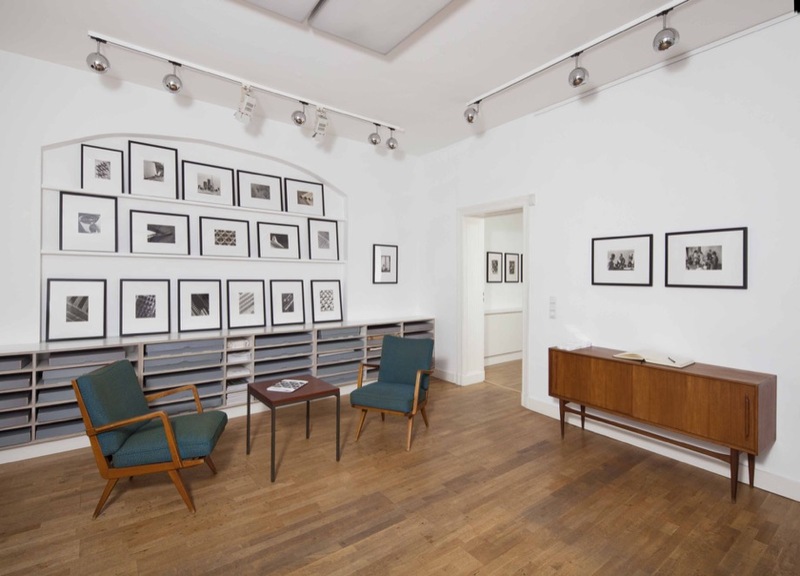 Collection Regard is the photographic collection of Marc Barbey focusing on German photography, especially photography related to Berlin. Marc Barbey is also administering the estate of Hein Gorny (1904-1967). Acting as an archive as well as an exhibition space and publisher Collection Regard deliberately takes a position between museum and gallery. 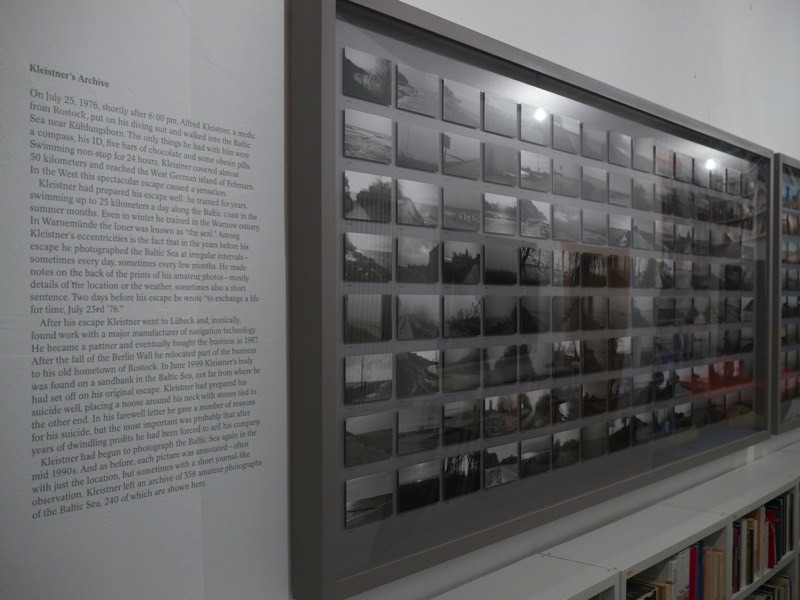 The aim is to show largely unknown photographic works which deserve attention in a curated context. 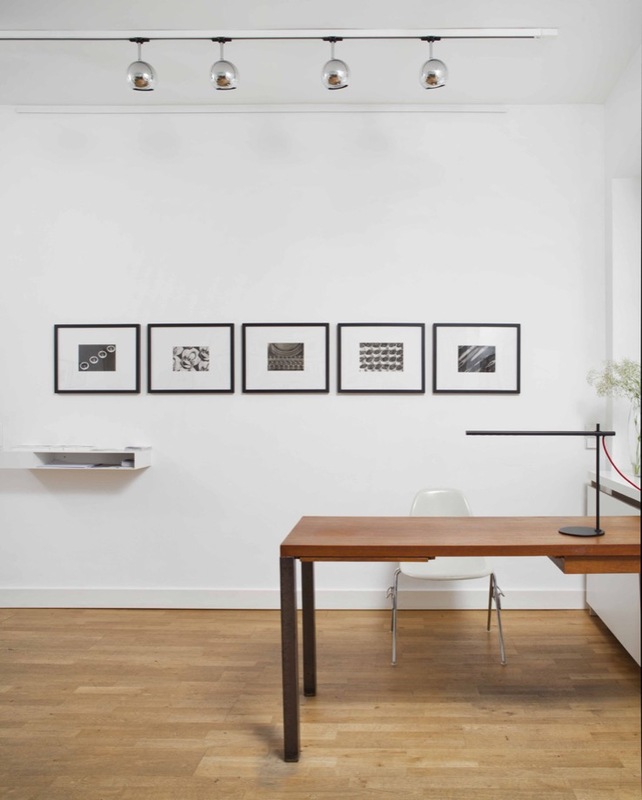 Publications and art events in form of Salons Photographiques accompany the exhibitions that are also sent on tour. Safn (Icelandic for: collection) is the private collection of Pétur Arason (b. 1944, Reykjavik). 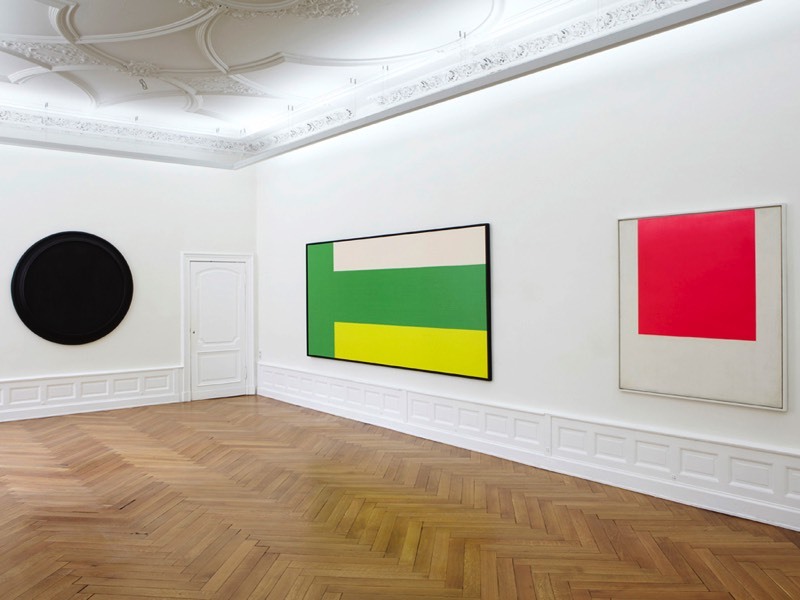 From the early 1960s, when he started collecting art works, he was interested in both Icelandic and international art which followed a conceptual and/or minimalistic approach. In 1987 he founded his first exhibition space in Reykjavík, to which he invited artists to create works in situ. 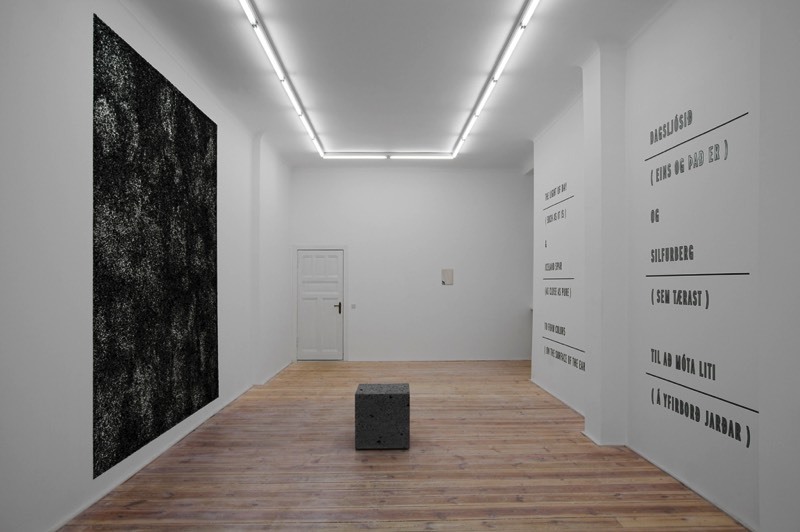 Since 2007 Arason runs his space Safn in Reykjavik, exhibiting art works from the collection. 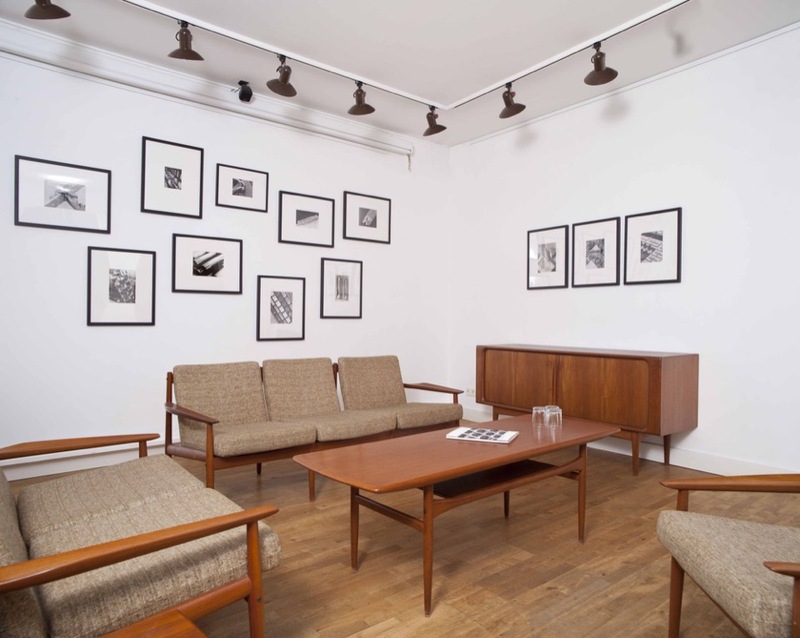 Since March 2014, Safn Berlin serves as a new platform for both Icelandic and international artists and aims to introduce the collection to a broader audience. 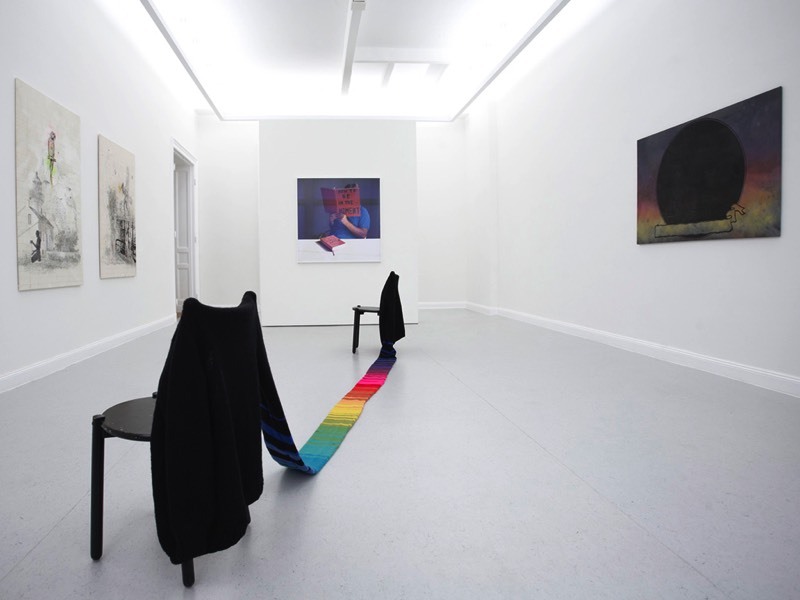 Installation views, © Safn Berlin, Photo: Henrik Strömberg. Saturday 11am- 4pm and by appointment. Timo Miettinen has had a close connection with art ever since he was fifteen years old. Together with his mother, he collected Finnish landscape paintings of the nineteenth and twentieth centuries. 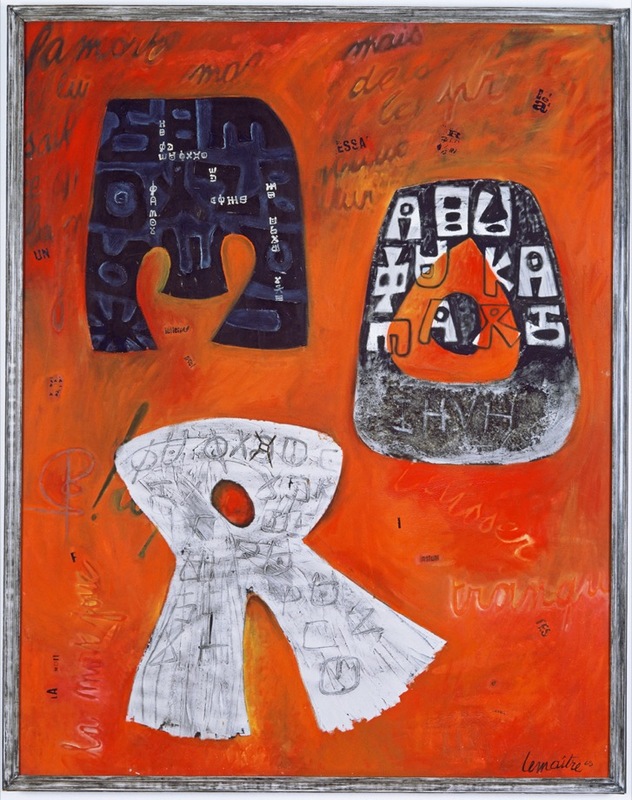 Since 2004, he and his wife Iiris Ulin have collected international contemporary art. 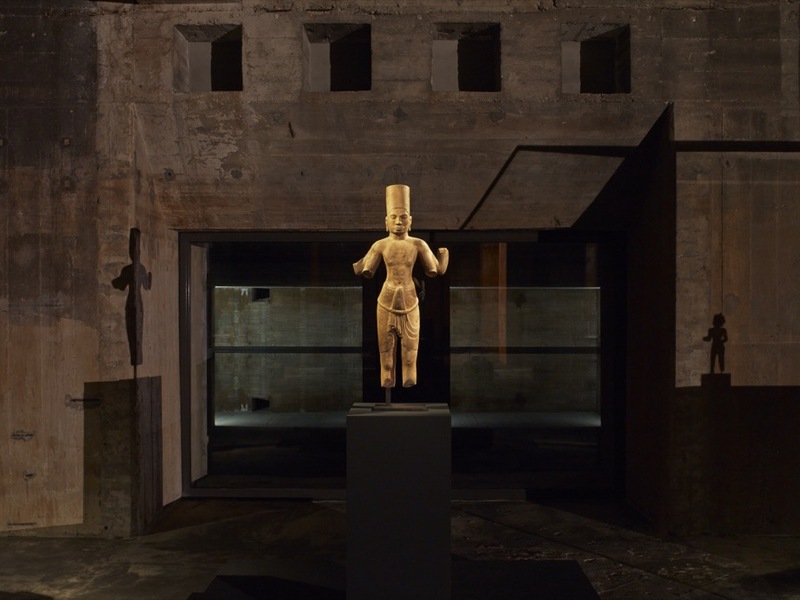 The collection comprises more than 300 artworks by contemporary artists of various generations and nationalities, mainly paintings, drawings – both abstract and figurative, geometric and expressionistic – and sculptures, among them a series of marble sculptures from the Roman Times. 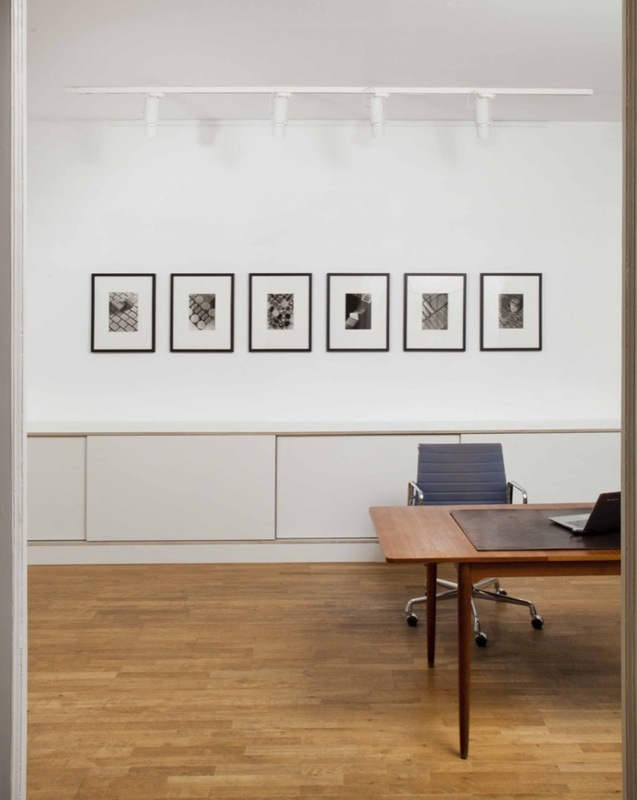 Installation view with works by Gordon Matta-Clark, Photo: Matthias Kolb. House in Marburger Strasse 3, Berlin. 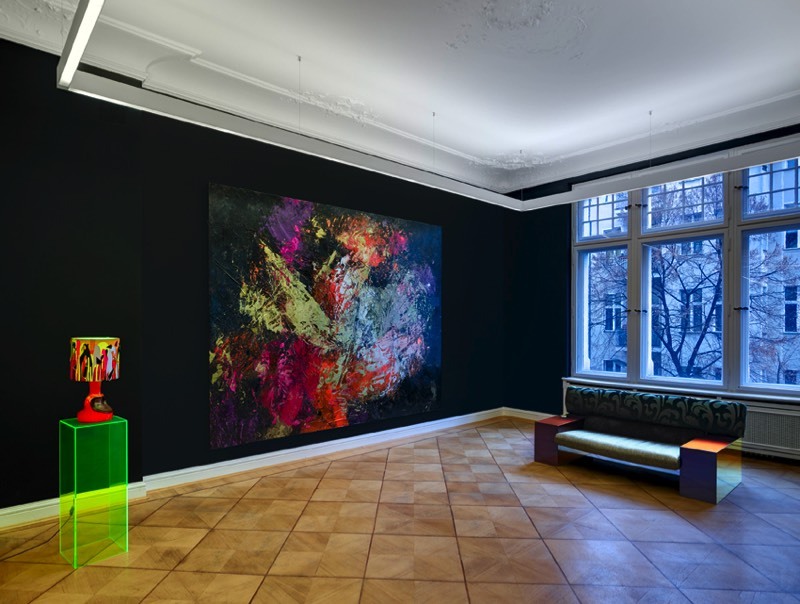 Installation view with works by Anselm Reyle and Marianna Uutinen, Photo: Matthias Kolb. Although he does not have an official showroom, Christian Schwarm loves to share his passion for contemporary art with other art enthusiasts. 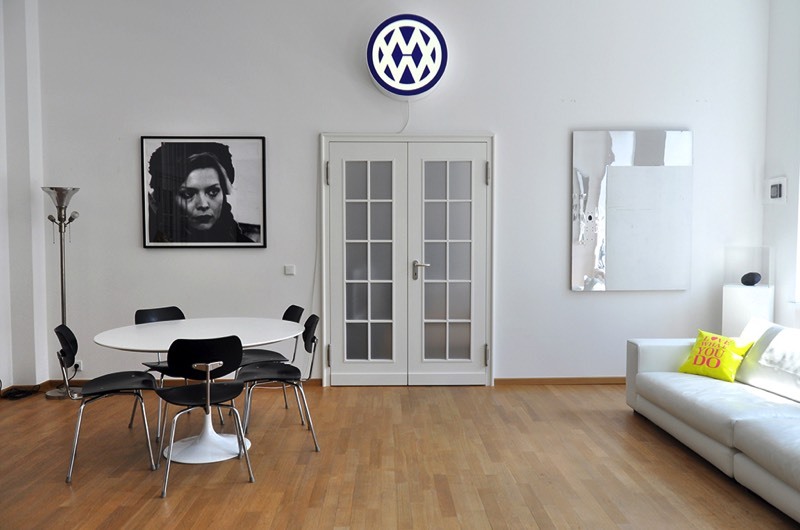 From time to time he opens up the doors to his private collection at home or exhibits parts of his collection in the office of his communication agency Dorten, situated on an old factory floor in the heart of Kreuzberg. 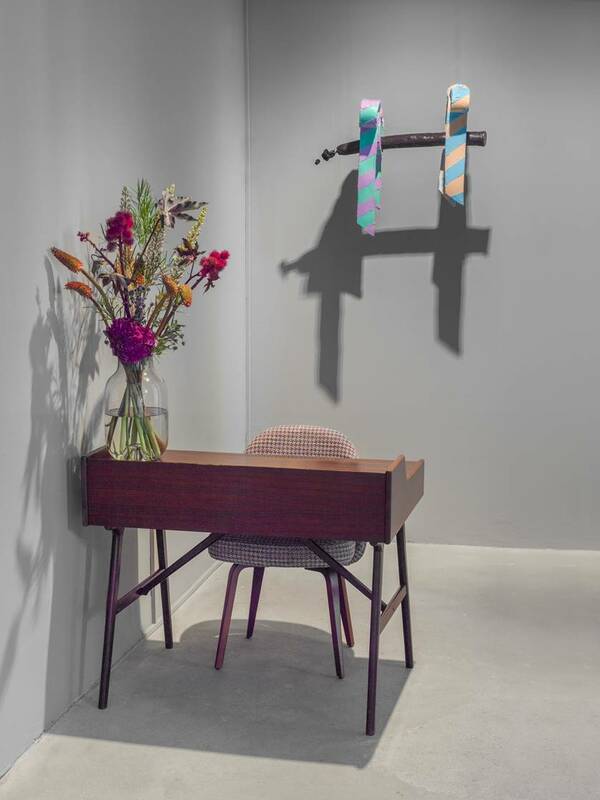 His last three exhibitions showed Slavs and Tatars, Peter Piller and David Horvitz. Out of his love and passion for collecting Schwarm founded Independent Collectors, an international platform for art collectors of contemporary art that today counts over 5.000 members. Viewing possible with guided tours only. Make an appointment via Website. The Springmeier Collection encompasses works in diverse media and is international in scope. Founded in the 1990s, the collection’s objective is to identify important artists of the modern day and to apply personal criteria in bringing their works together. 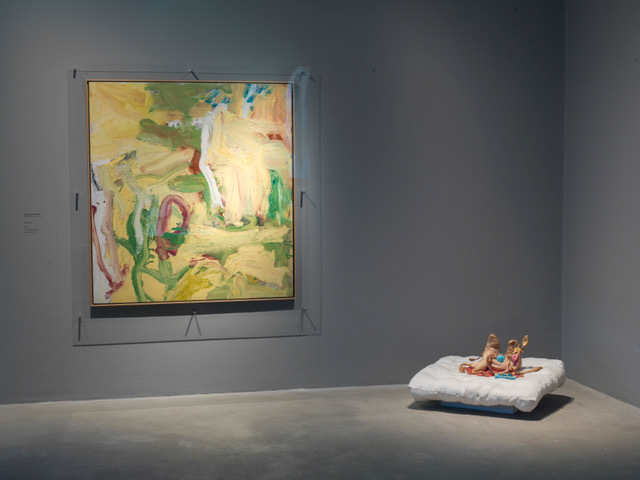 Artists such as Jeanette Lavariere, Uri Tzaig, and Fred Lonidier feature alongside current stars of contemporary art such as Jordan Wolfson, Phyllida Barlow, and Claire Fontaine. The collection is displayed in the Springmeier’s home, creating a lived-in experience of art aligned with domesticity. 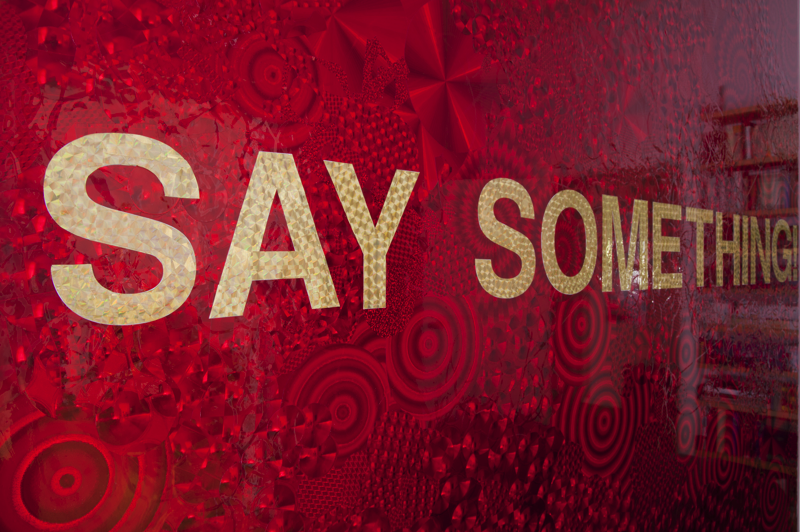 Goran Tomcic, Say Something, 2009. 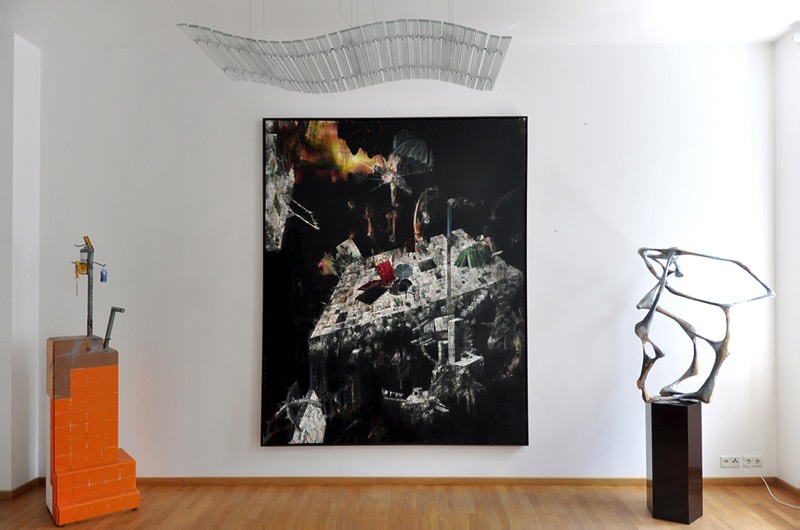 The JULIA STOSCHEK COLLECTION is a private collection of contemporary international art with a focus on time-based media. 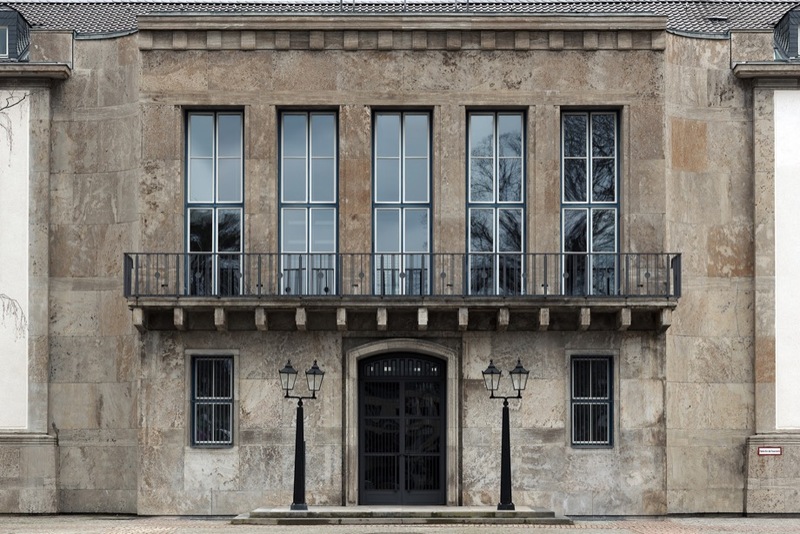 Founded in 2007, the private collection has its own exhibition building in Düsseldorf and to supplement the main Düsseldorf location, starting June 2016 a temporary space has been open to the public in Berlin. The exhibition area covers a full 2,500 sq.m. 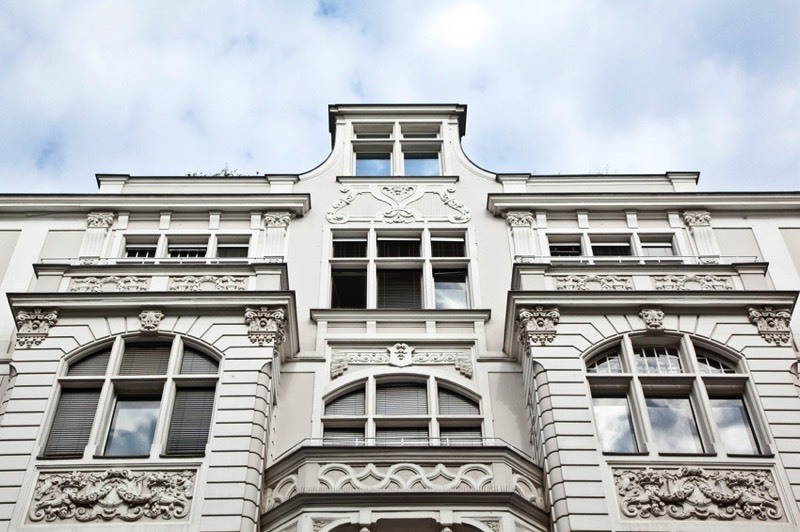 and is to be found in Berlin’s Mitte district at Leipziger Strasse 60 – in the building complex that formerly housed the Czech Cultural Center in East Germany. 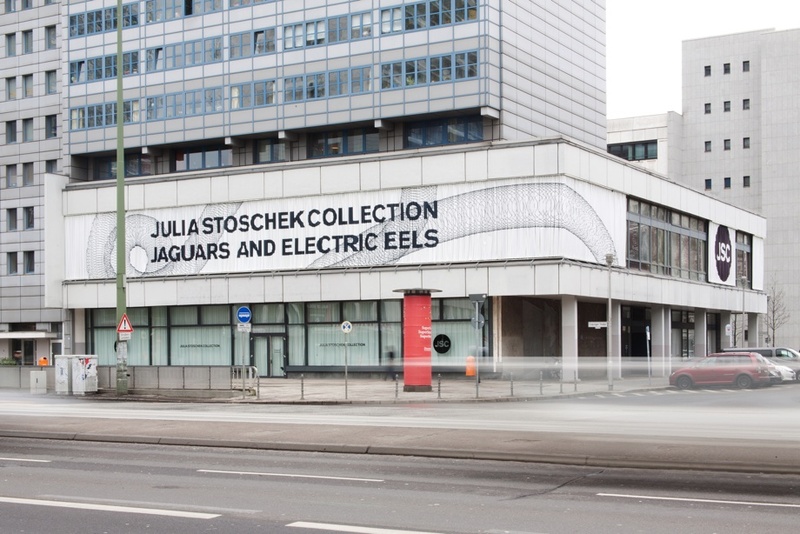 JULIA STOSCHEK COLLECTION becomes the first private collection in Germany to have two publicly accessible locations at once - in Düsseldorf and Berlin. Public guided tours of the exhibition in German: Thursdays, 6:30 p.m./Sundays, 3 p.m.
Public guided tours of the exhibition in English: Saturday, 3 p.m. Cost: EUR 10.00 per person (incl. entrance). Special guided tours outside opening hours: Cost: EUR 20.00 per person for groups of 10 or more persons (incl. entrance). For enquiries and to register, please send an e-mail to visit@jsc.berlin. 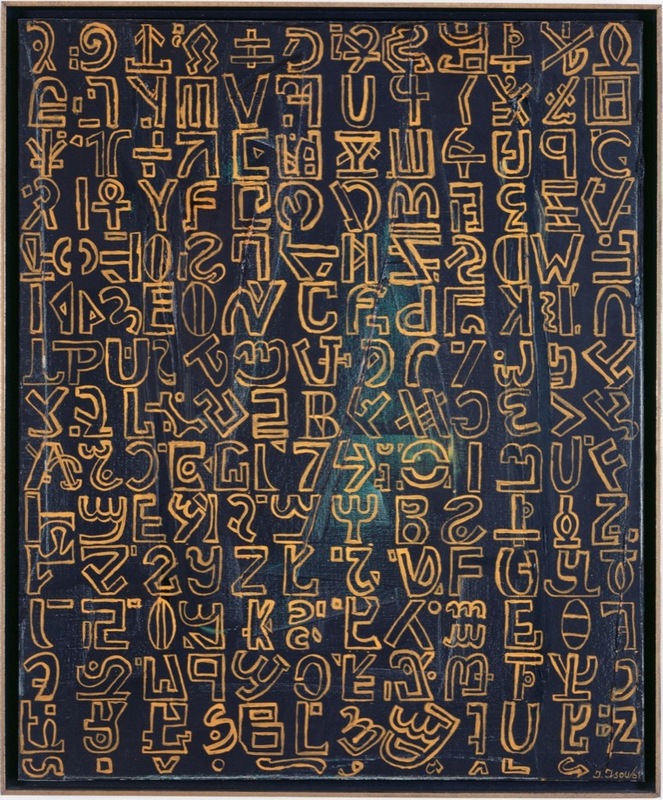 Ivo Wessel studied computer science and psychology in Braunschweig and moved in 2000 to Berlin because of its young and vivid art scene. He is working as a freelance software developer and creates iPhone and iPad apps, especially for artists and art institutions. Since his school days he collects contemporary art and literature and always tries to reconcile his three obsessions art, books and computers. 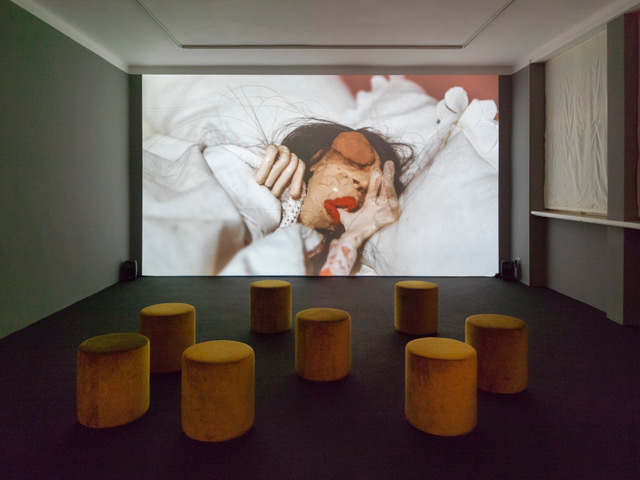 His collection area includes conceptual, media and video art. 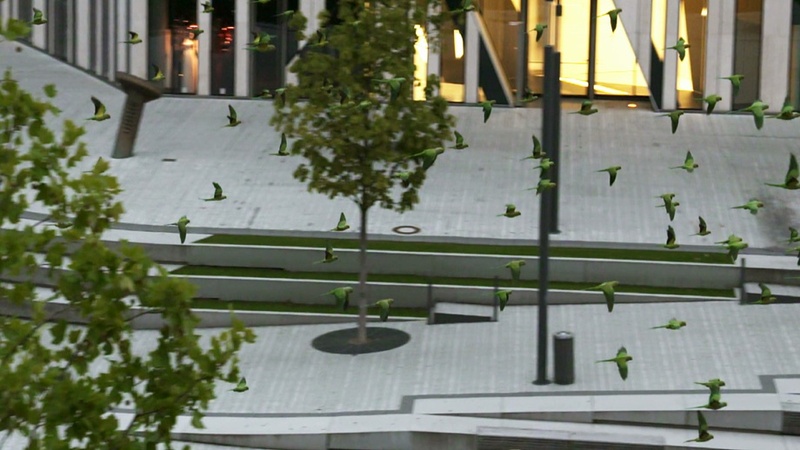 Six years ago he founded, together with gallerist Olaf Stüber, “Videoart at Midnight”, a project that shows video art on a large screen at cinema Babylon, once a month on a Friday, always at midnight. 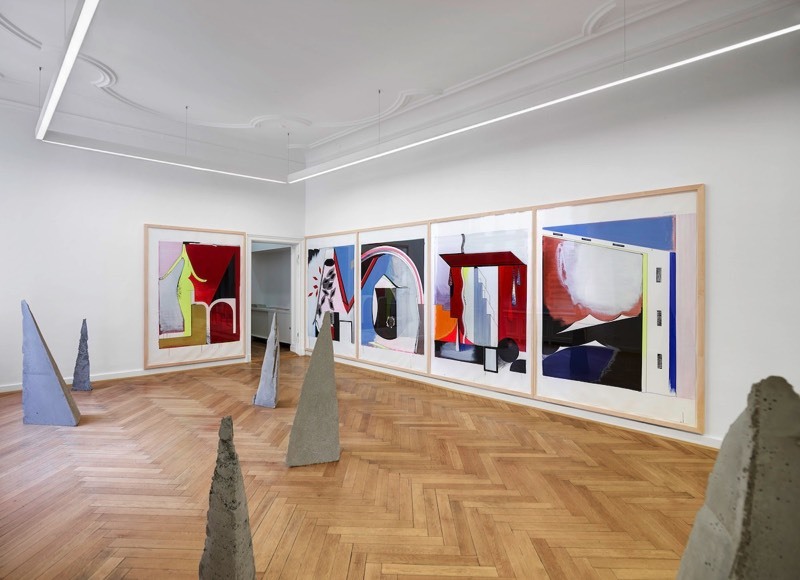 Located in a building steeped in history from the 1930’s, the collection presenty showcases mostly contemporary art from Berlin, in a typical Berlin-Mitte living pad. Some of the artists on view are: Michael Kunze, Gregor Hildebrandt, Alicja Kwade, Ernie Luley, Jürgen Drescher, Jonathan Meese, Olivia Berckemeyer, Wolfgang Tillmanns, Manfred Pernice, Wolfgang Flad, Bernd Ribbeck, Timo Klöppel, Jeppe Hein, Philip Topolovac, Michail Pirgelis, Dirk Bell, Stefan Thiel, Daniel Kannenberg and Wolfgang Lugmair.